Hi! 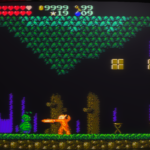 Gunmetal Arcadia Zero is now available! You can find it on the Humble Store and on itch.io, where it is available pay-what-you-want for the next five days. Additionally, I’m running a Steam Greenlight campaign and could use your vote! For Humble Monthly owners, Patreon supporters, and anyone who picks up the game on the Humble Store or itch.io, I will be providing Steam keys as soon as the game is greenlit and I can request them. 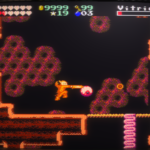 With that out of the way, I wanted to do sort of a mini postmortem of Zero, which in turn means doing at least a bit of a mini postmortem of the Gunmetal Arcadia cycle as a whole. I’ll also talk a little about some of the small changes I’ve made to Zero since it first launched in the May Humble Monthly Bundle since I don’t think I’ve really discussed those anywhere else and might not have another good opportunity before the roguelike Gunmetal Arcadia launches in February. 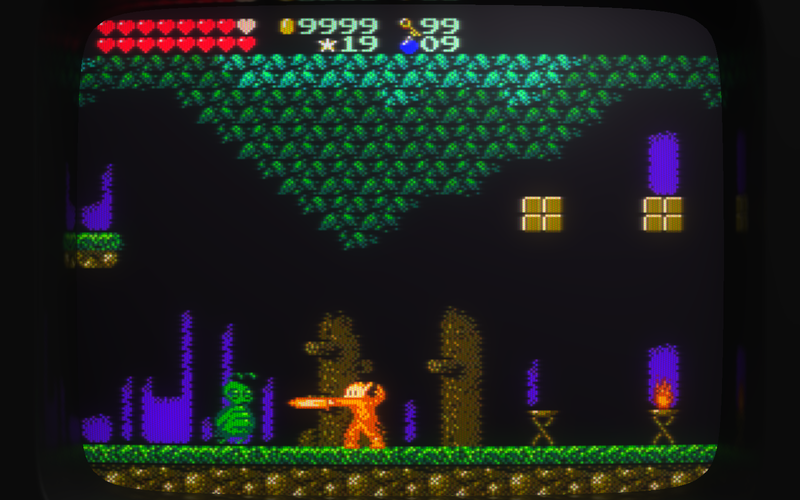 I started working on Gunmetal Arcadia about two years ago, just after wrapping up my previous title, Super Win the Game. It was to be a retro-themed action-platformer roguelike, a blend of classic gameplay elements and modern sessionable game structure that I had found myself craving and seemed to fill a void in the market (albeit a particular, niche void). My marketing efforts for Super Win had been sporadic at best and largely met with a lukewarm response, so I made the decision to push harder on marketing myself. To that end, I began keeping weekly dev diaries, which continue to this day. In summer 2015, I began to run into production difficulties. Although my target ship date was still some distance away (fall 2016 at the time), I had recently expanded my marketing efforts to include a weekly video series, and I had taken on contract work to help pay the bills. 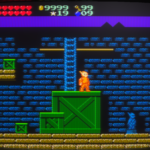 It was clear that the hours I could devote to development on Gunmetal Arcadia simply weren’t enough to make the sort of progress I knew I needed to be seeing. 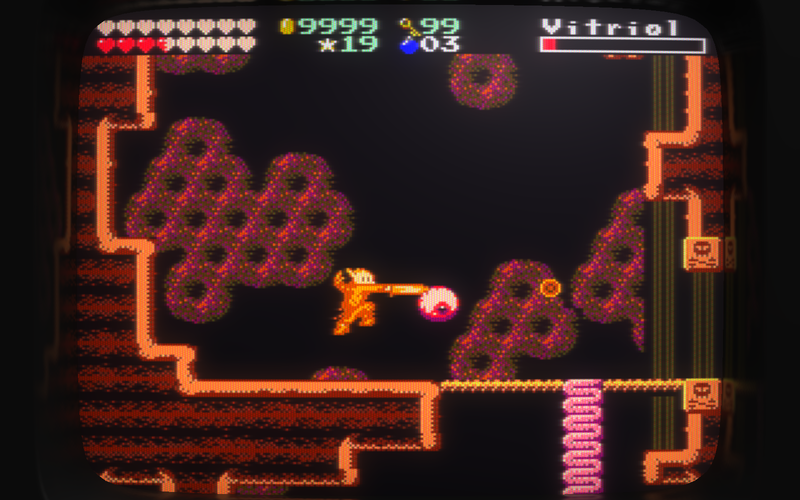 I consider myself fairly aggressive about minimizing scope proactively, and it didn’t feel like there was much I could carve out of Gunmetal Arcadia to help it ship faster. It felt like I might have to push my target release window back a bit to compensate, and I wanted to have something I could ship in the interim. 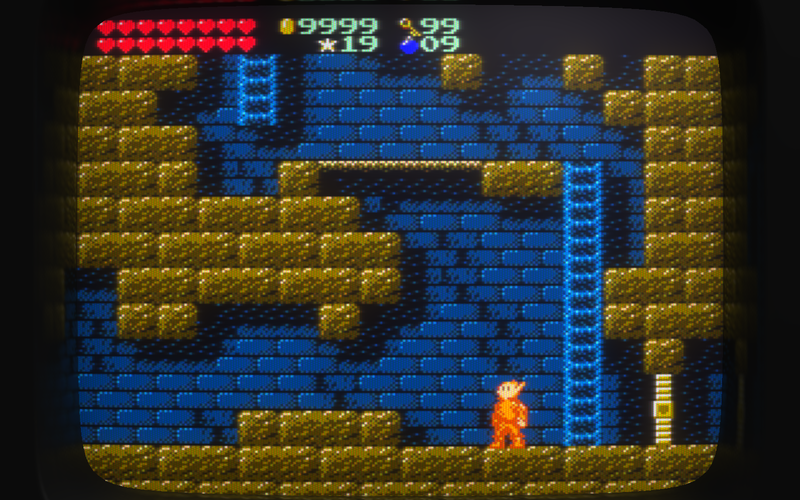 So what I did instead was to expand the scope of the brand to include a second game, Gunmetal Arcadia Zero. This game would launch first and serve as both a narrative prequel and a low-cost entry point into the series. This plan allowed me to focus on bespoke content production that could be leveraged by both games (sprites, enemy and item implementations, and so on) and temporarily push off some of the looming procedural generation tasks for the roguelike game. In late 2015, I was approached by Humble regarding plans for an upcoming series of small exclusive titles to be debuted as part of their monthly bundle. Zero seemed like a perfect fit, and we eventually landed on May as a launch date. With an absolute can’t-miss deadline, I began figuring out exactly what would and wouldn’t ship in Zero. I grayboxed eight levels, eventually cutting the two I liked the least to reach my target of six shipping levels. I spent most of January building a vertical slice map to give myself a target quality bar, and the remaining three months prior to launch were a crunchy dash to decorate and populate the remaining five levels. I did meet my deadline, and the launch was successful, if subdued. As a timed subscriber exclusive, my ability to promote the game was limited, since the usual call-to-action (“buy this thing!”) was off the table. Instead, I focused on promoting the soundtrack and demoing the game at events throughout the summer. 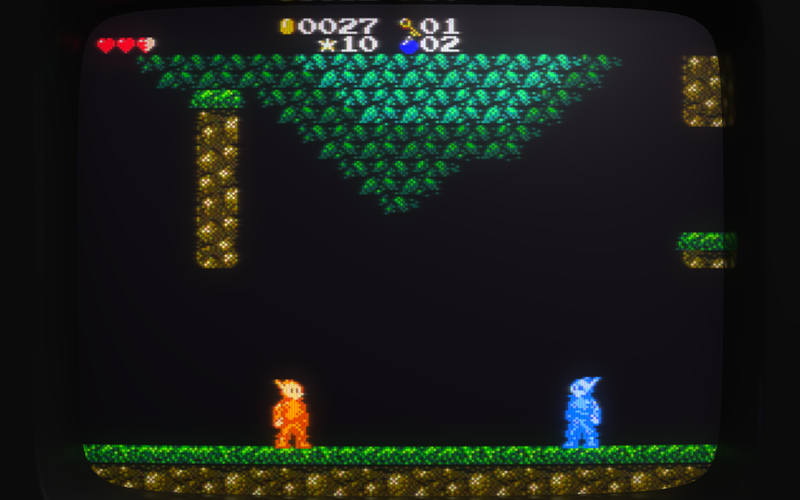 Gunmetal Arcadia Zero is no longer a timed exclusive, so I’ve moved forward with putting it up on various storefronts. Although we’ve shipped games with Steam before, and I’ve directly requested AppIDs from Valve before, I’m deliberately going through Greenlight again in order to buy myself a little bit of buffer time in which I can start to build awareness and promote the game while also launching on Steam as near as possible to Gunmetal Arcadia‘s upcoming February 7, 2017 launch date. Zero‘s history has also made it a unique opportunity for me to test some different strategies that I might otherwise not be comfortable trying with whatever my latest Next Big Thing were. Since it is and has always been intended to be a low-cost, low-risk entry into the series, I’m going straight to pay-what-you-want pricing for a short duration on itch.io. It’s likely I’ll look for similar opportunities in the future to get cheap copies into as many hands as possible without completely devaluing it by simply making it free. 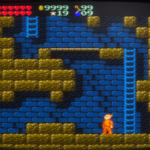 After I shipped Gunmetal Arcadia Zero through Humble Monthly and turned my attention to the roguelike Gunmetal Arcadia, I began addressing a few longstanding engine issues. A few of these seemed like obvious candidates for porting back to Zero, and I’ve done so whenever and wherever I could without overt risk of breakage. Probably the biggest of these, and one that I’ve often wished I had had in Super Win the Game, is the introduction of CRT presets. You can now select from a few presets I’ve created (including a recreation of Super Win‘s slightly fuzzier look), but more importantly, you can also save your own CRT modifications to one of three user preset slots. So if you’ve found a look you like, and you want to experiment a bit more without fear of losing that known-good state, you can save it off and continue tweaking settings from there. On the one hand, it feels a little silly to go this hard on supporting the experience of modifying the CRT sim, but on the other hand, it’s consistently been a talking point of every game I’ve made since You Have to Win the Game, and I feel like it would be irresponsible not to support this admittedly extraneous aspect of the game to its fullest as much as I’m able. Back in July, I began working on an input remapping feature on stream. I documented this process at the time, but only in the context of the roguelike game. Since then, I’ve merged these changes into the Zero shipping branch of my engine, so users on all platforms with (almost) all devices should be able to benefit from these efforts. This goes beyond the normal control binding system my engine has supported for years and addresses the problem of various devices labeling axes and face buttons with non-standard indices, which would typically manifest itself in-game as apparently incorrect button prompts. Handling these eccentricities for every existing device myself would be prohibitively expensive and time-consuming, so instead, I’ve made the appropriate changes globally for a number of popular devices and provided an interface for users to easily define these remappings themselves when using devices I haven’t already addressed. Several months ago, someone suggested that I add a mode to Gunmetal Arcadia Zero that would display an in-game timer on-screen for speedrunning purposes. Since I’d already been building Zero with speedrunning in mind, that seemed like an obvious win, and I made a note to myself to add that. Then I promptly forgot about it for months and months until last Saturday, just three days before launch. So, any guess as to how I spent my weekend? 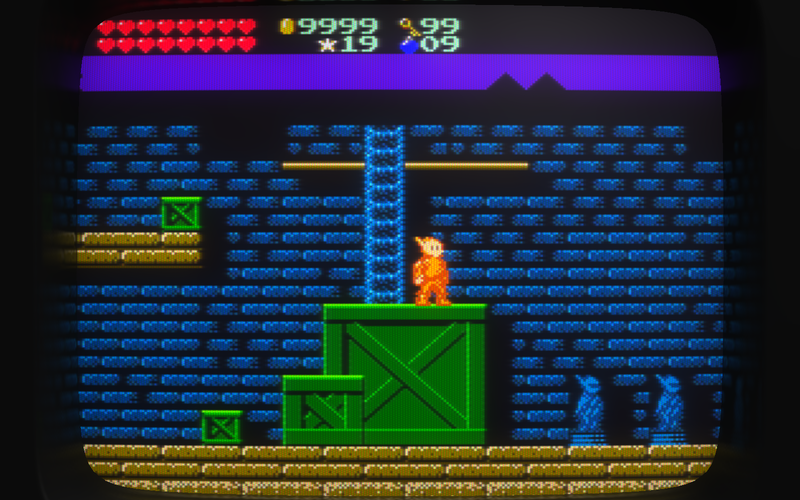 It’s not as polished as I’d like, and there’s a good chance I’ll make some tweaks to it between now and the Steam launch, but Gunmetal Arcadia Zero now has a speedrun mode. This mode can be selected when starting a new game, and by default, it will display automatic per-level splits on the screen, along with the current timer and a previous best if one exists. In this mode, New Game+ is disabled, and game-over-ing (is that a verb?) always forces a complete restart. (That second one may change in the future, but it was a necessary side effect in light of only having a short time to implement this feature.) The in-game timer pauses during loading, level intros, scrolling room transitions, and whenever the pause menu is open, only accounting for actual gameplay and time spent in the “in-CRT” menus such as inventory and shopping. Oh right, New Game+. That’s a thing. Kind of. When I launched Zero back in May, I left some hooks in there for a NG+, but it didn’t exist at the time. Now it does, in minimal fashion. When you finish the game and continue from the same save slot, you’ll start back at the beginning of the game with all your upgrades intact, and enemies will have more health. Each subsequent playthrough increases enemy health a little bit more. Finally, because it had been bugging me and I saw several players struggle with it when demoing Zero at events, I added a separate button (left trigger by default) to crouch without climbing down ladders. I had previously tried to mitigate this frustration by keeping ladders as far from enemies whenever possible, but it just wasn’t possible to prevent it completely. In the context of randomized levels in the roguelike game, it became clear that a different solution was needed, hence the new control binding. Lastly, I had a note that I wanted to say something about Steam achievements. So, uh, yeah. They’ll be in there. I haven’t figured out what they’ll be yet, but I did at least make a change recently that should catch a vast majority of problems arising from meeting achievement conditions while playing offline and then not being awarded the achievement when coming back online, so that’ll be nice. As for Steam trading cards, probably not. Historically, supporting trading cards has proven to be worth less than the time investment involved in meeting the minimum art requirements, so I almost certainly won’t be supporting those at launch. In the future, if the game is a success? Sure. Maybe. But not at launch.